Wednesday report indicated that Uber has in effect won the market war across the U.S. for ride-hailing although its biggest competitor Lyft continues to gain more market share. 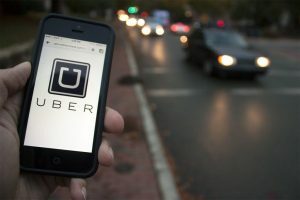 Uber is the dominant force in every city in the U.S. where it is present, said a lead analyst on Wall Street from the company that reviewed purchasing data from credit cards from more than 2.5 million consumers in the U.S. and usage of mobile-apps from over 50 million mobile devices worldwide. In the hometown of the startup, San Francisco, Uber holds a market share of 71% while Lyft has 29%. Lyft’s biggest share of the market is in Denver where it has 38% compared to 62% for Uber. In Portland, Oregon, Lyft has 36% to Uber’s 64%. Across the country, the gap is even bigger with Lyft having a total market share of 21.3%, which is up from a 2014 share of 8.7%. The report said that the U.S. market has been won by Uber as its market share is far superior to Lyft’s and Lyft cannot overcome that difference. The disparity amongst the two companies was compared to that of Uber China and Didi Chuxing, a larger and entrenched rival that eventually bought out Uber China. After losses in billions within China, Uber sold Uber China to Didi for $7 billion and a stake of 20% in the newly combined business. The report said that most riders will first check Uber and if the wait is too long with then try Lyft. That means Uber has to make sure its wait is not too long so that riders do not try its competitor. There has been an increase in crossover amongst the two companies. During 2014, 10% of riders on Uber also were Lyft users, now that number has increased to 16%. The duopoly of Uber and Lyft was highlighted in the report. Sidecar a small rival shuttered its doors late last year. Taxi-hailing apps like Curb and Flywheel were not part of the report and Juno an upstart that begin earlier this year in New York was also not included. The report showed insights on the way consumers boosted spending over time on ride services. Uber clients who began using its service during 2014 initially would spend $69 per month for rides, which increased during 2015 to $75 and in 2016 increased to $78.